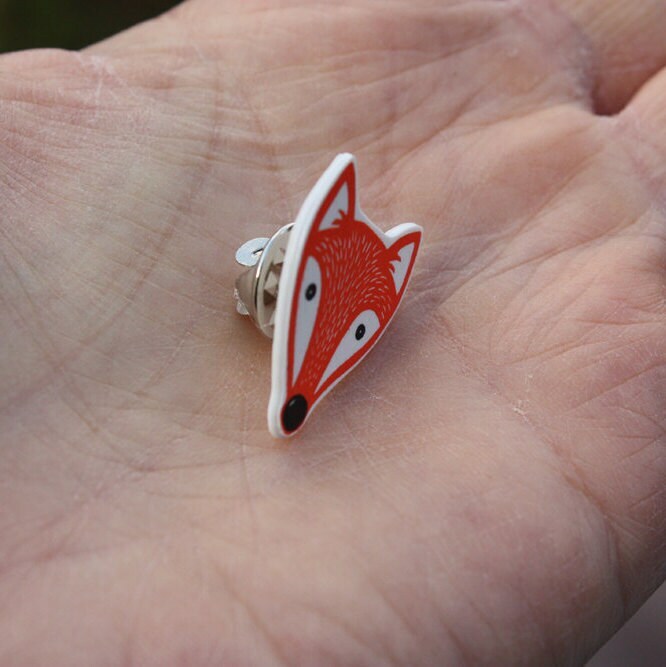 This cute fox is a handmade shrink plastic pin. 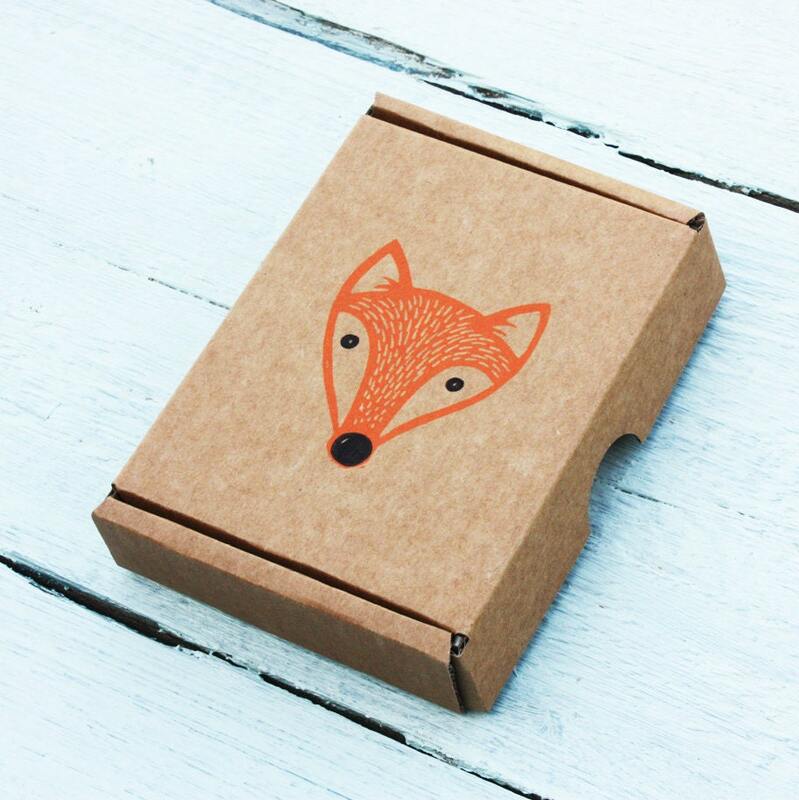 Each little fox begins as a small linocut which then becomes a rubber stamp. Once I am happy with my carving, I hand print them using black Versa Craft ink pad. Although these images are sealed with clear satin varnish, I would suggest not to immerse them in water. 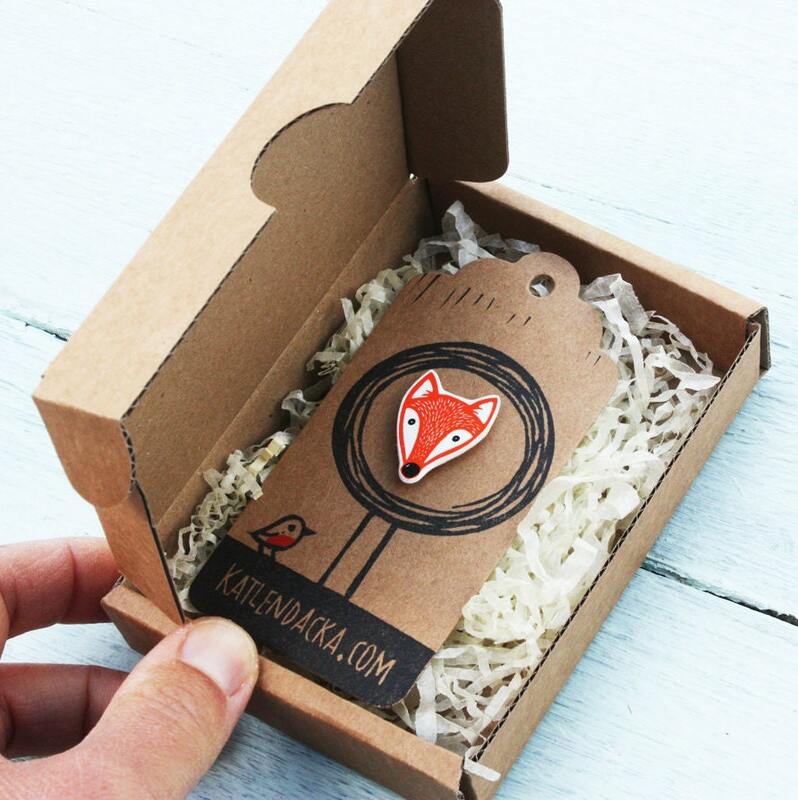 Every pin is beautifully packaged in its special box with the original fox printed on the cover and lined with natural colour shredded paper for best comfort. 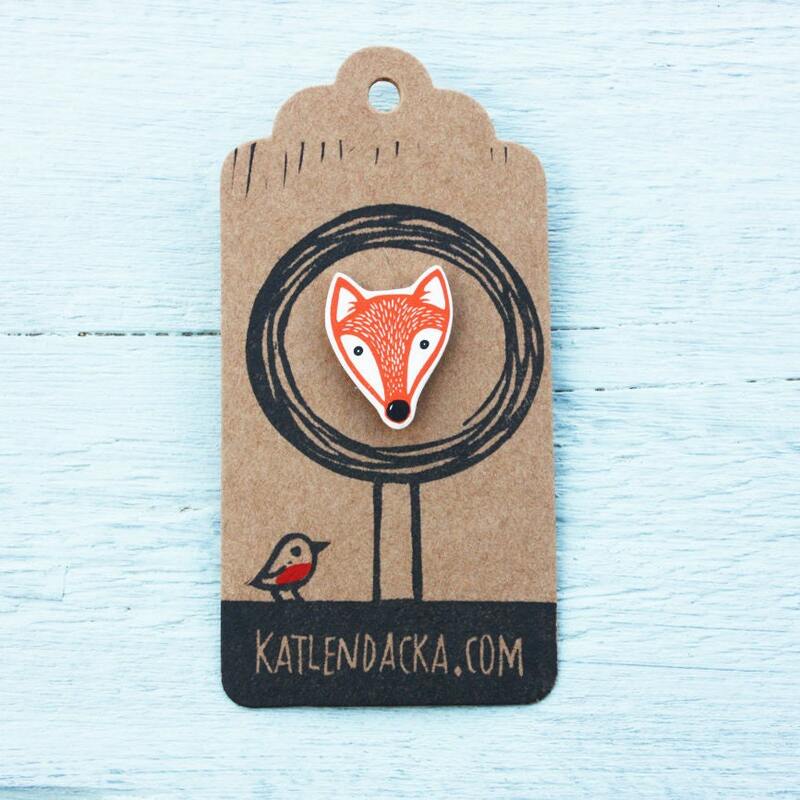 Your fox will travel in style! 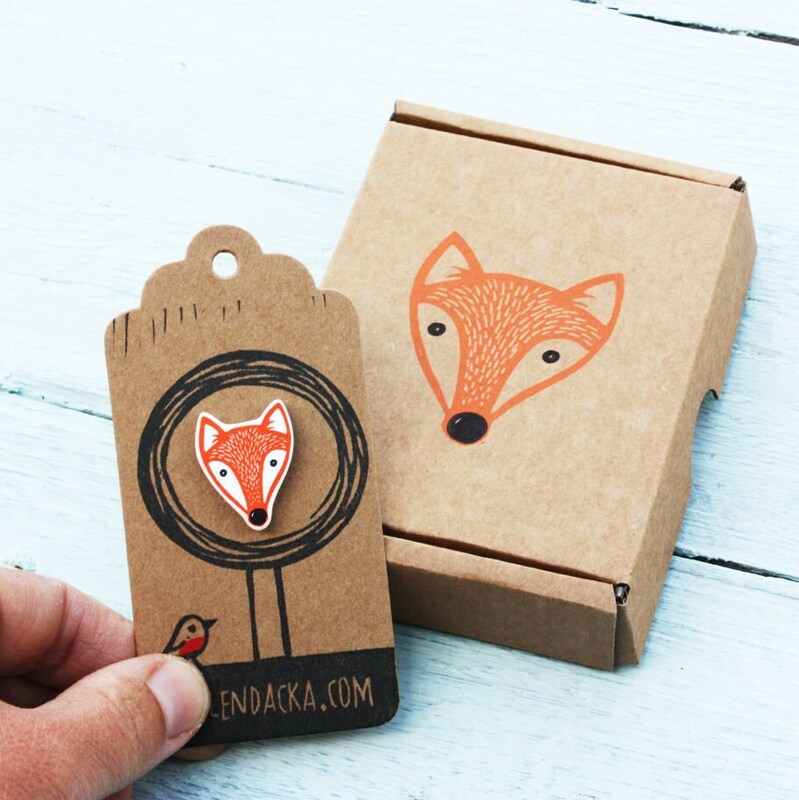 Ready to be received or given as a perfect present. Dimensions of this are about 19 mm wide & 27 mm tall but due to the shrinking process, there might be very small differences in sizes. Also as I handprint them all there might be very small print differences, but that's what makes them all very unique!